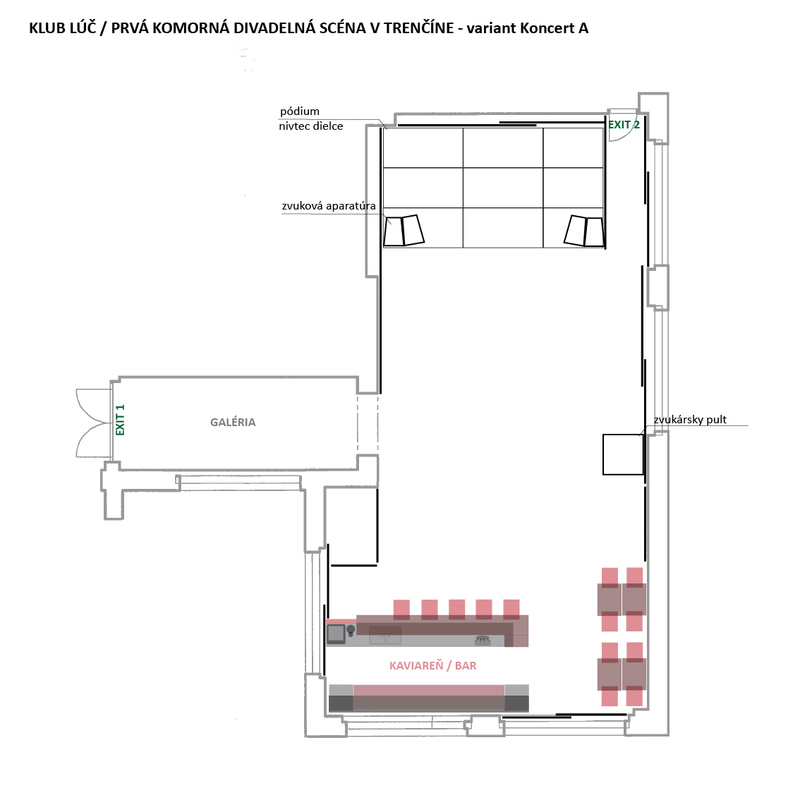 Klub Lúč has been running under the direction of the Kolomaž association as an open cultural platform continuously since 2004. It is the only establishment of its kind in Trenčín and the entire Trenčín region. It serves the public as a venue for contemporary art and culture. 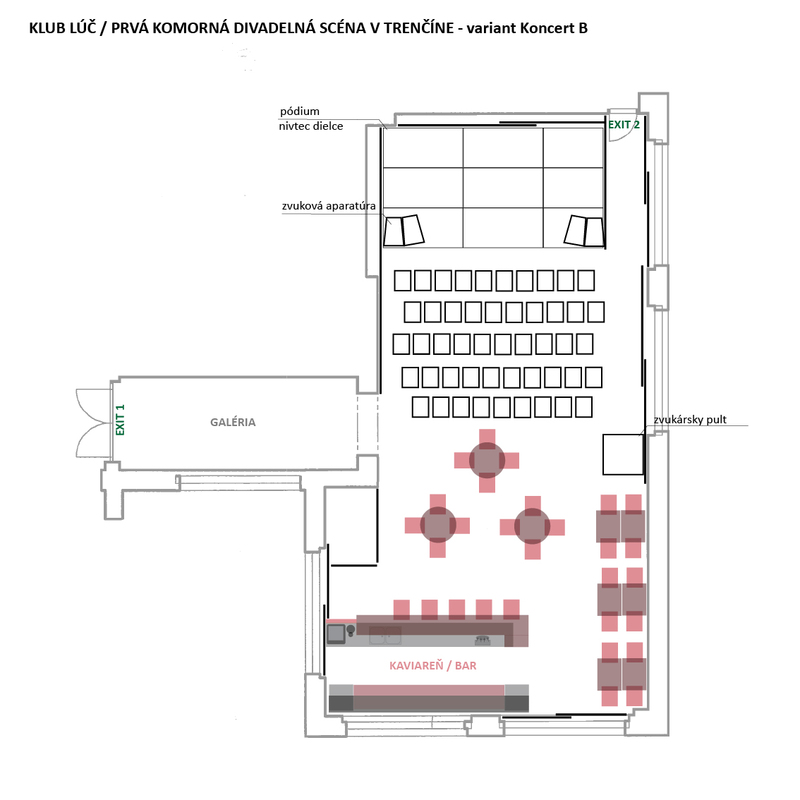 More than 150 multi-genre events for children, youth and adults are organised by Kolomaž in the club annually. Klub Lúč is the third oldest club in Slovakia and has existed in the same place, i.e. the first mezzanine in the former Hviezda cinema building, since 1971. 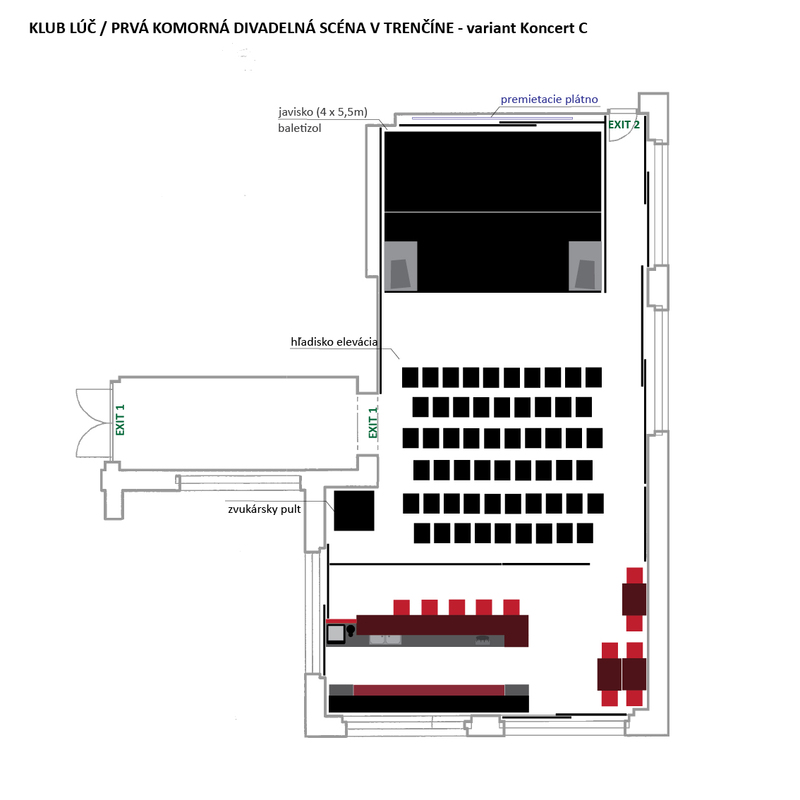 In 2013, the Club underwent extensive renovation and Prvá komorná divadelná scéna – the first chamber theatre in Trenčín, was formed in the venue.